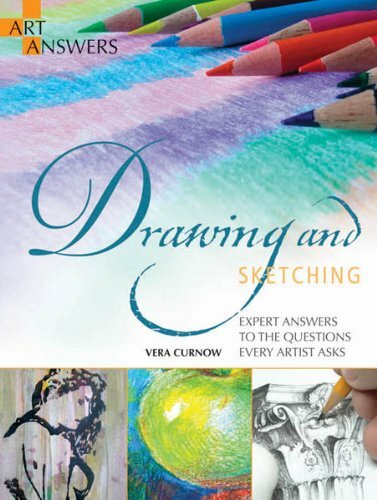 This book is meant to be an introduction to different types of drawing media. Since the book covers plenty of media, eg graphic, charcoal, coloured pencils, pastels and inks. The book is on drawing and sketching so it doesn't feature painting media like gouache, watercolour or oil. The content is presented in a Q&A manner. The questions asked are on the characteristics of the medium, and how you can create art with them. The first portion of the book covers all the tools, that's followed by basic drawing techniques and finally it features several short tutorials on drawing different subject matter. This paperback has 224 pages and features 200 questions. It's quite informative and I'm sure beginners will be able to learn a lot. Ultimately, this book is an introduction or guide so if you want to learn more specific techniques, you should get books that talk specifically about a certain medium. This book was published in 2012 and may be difficult to find nowadays. The price is quite affordable but it really depends on who's selling and the stock.